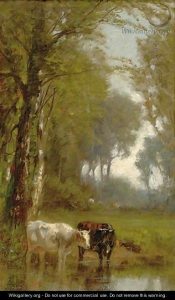 Below is the detailed biography of James McDougal Hart, a Scottish American landscape artist with excellence in the depiction of atmosphere and flora. 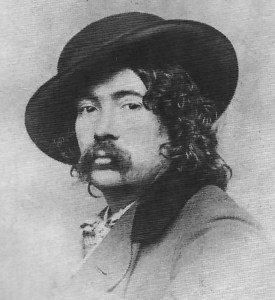 James McDougal Hart was born in Kilmarnock in East Ayrshire, Scotland. At a young age, they moved to America and settled in Albany, New York. He had a flair for art at a young age. 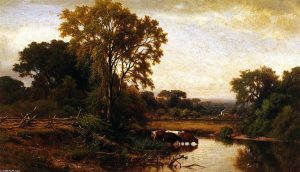 He and his siblings, that is, his older brother and younger sister were all sent to learn art at the Hudson River School, a mid-19th-century art movement similar to the Pre Raphaelite Brotherhood. Unlike his siblings, he went back to Europe, then known to be the center of art. He underwent a serious training in Munich at a school called Dusseldorf school of painting under the guidance of trainer Friedrich Wilhelm Schirmer, a German landscape artist. James came back to the United States in the year 1853. In 1848, he exhibited his first artwork at the National Academy of Design. He was an elected to be a member associate at the Academy in 1857 and became one in the following year. 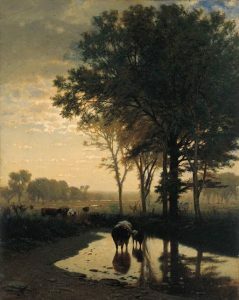 As a landscape artist, he exhibited numerous artwork at the National Academy as he was a full member for the next 40 years of his life. He also served as Vice President to the National Academy of Design from the years 1895 to 1899. New York City was a center in the United States for Artists and Sculptors. Therefore, James spent most of his time in the state of New York. James McDougal Hart also exhibited at the Brooklyn Association of Art just like his brother. He was mostly known for painting large paintings of sizes more than 40 x 60 inches. 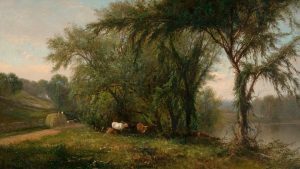 As he painted landscape subjects, his style of art was very influenced by the Hudson River School. 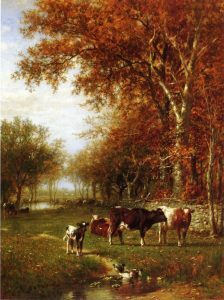 James McDougal Hart excelled at painting quiet sceneries of the barn that included simple subjects like cattle. He painted cattle very well. His painting, Summer in the Catskills is now at the Thyssen – Bornemisza Museum in Madrid, Spain. 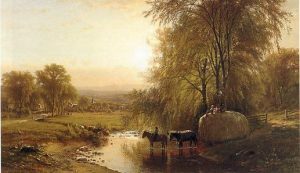 James McDougal Hart had an older brother – William Hart, a celebrated landscape artist in America. His sister was also a painter – Julie Hart Beers whose two daughters were also painters. James had a student at the Hudson River School – Evelina Mount, who is known for her floral paintings. James died on October 24 in the year 1901 when he was 73 years old. He dedicated most of his life to the Academy and lived a full life. He died in Brooklyn and is buried at the Greenwood Cemetery in Brooklyn, New York.